Time To Get Back On Your CPAP? 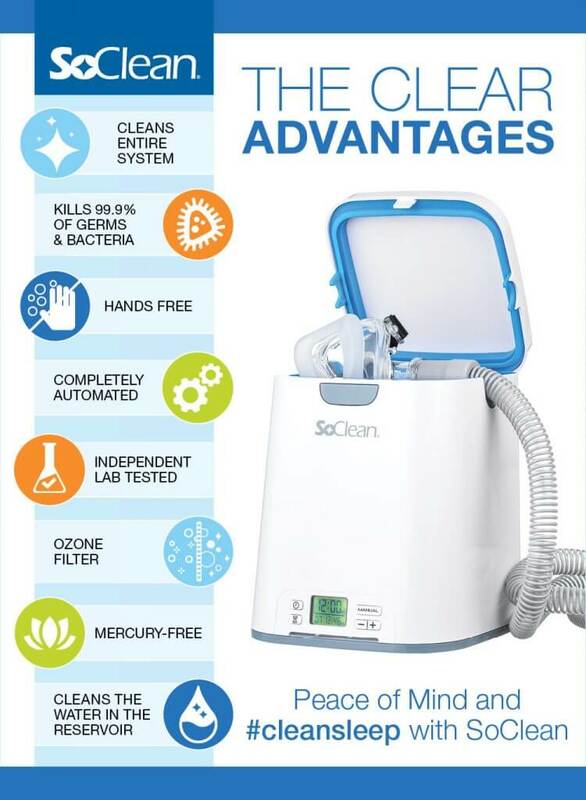 Order your SoClean CPAP Cleaner online from Buffalo CPAP! Since CPAP bacteria and other germs build up, the devices should be cleaned at least daily. Doing so could help prevent more health problems and keep your loved ones happy while doing so. Machines and other supplies must be ordered through our reorder form. 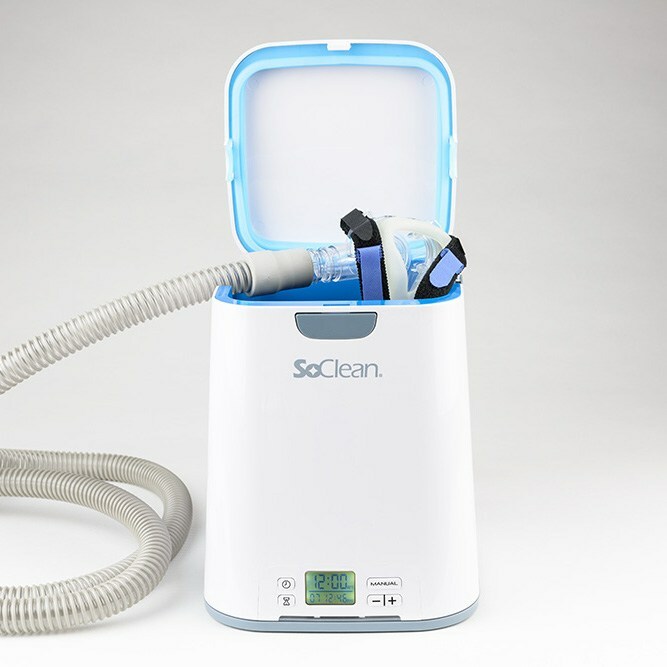 SoClean CPAP Cleaner can be purchased here on our website. Order one today! Let’s get you and your family back to sleep. Sleep Apnea has a ripple effect on your relationship with your partner. It not only affects the person diagnosed, but also the health and well being of their sleeping partner. You and your loved ones don’t have to be sleep deprived, Buffalo CPAP is here to help. We have the largest display of CPAP equipment and supplies in Western New York, and over 25 years of experience in respiratory therapy and sleep apnea. Buffalo CPAP has a local staff of knowledgeable professionals who will take care of all of your respiratory needs with the latest technological advances in respiratory therapy. Most importantly, we’ll help you get back to sleep. Our company is local, our people are local, and our service is second to none. Our mission is to provide expert, quality care to each and every customer. Buffalo CPAP goes beyond standard expectations. We will assist you in navigating complicated health insurance forms, and set you up with the equipment that’s just right for you and the way you sleep. Buffalo CPAP has been proudly serving Western New York for 25 years, with a commitment to service and compassionate care for all of our customers. Whether you are new to CPAP or just want to get back on your CPAP treatment, we can help. Call us today to get set up! Our expert team of respiratory professionals uses the latest technology and equipment to quickly manage any patient issues. Our mission is better care and better service. Our team of local professionals is what sets us apart. At Buffalo CPAP, we pride ourselves in our exceptional service and willingness to go the extra mile for our customers. Buffalo CPAP offers flexible hours for your convenience. We have strategically placed locations to serve all of WNY with compassionate care and exceptional service.